Brexit has left the British public looking like a nation of Wellington bus commuters. In both cases, the unholy mess bears no resemblance to what people were promised or the spin being used to justify it. In both cases, the only sane response – to go back to the way things were and write the whole thing off as a ghastly mistake – is deemed to be utterly out of the question. Hard to feel much sympathy for British PM Theresa May. 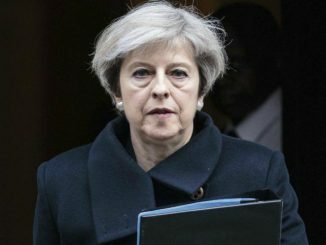 Two and a half years down the track from the referendum, she has come up with a final Brexit plan this week that no-one at all – Leave, Remain, hard Brexit, soft Brexit, pro-European, anti-European, Conservative, Labour, Lib Dem, Scottish Nationalist, DUP etc etc can only grudgingly accept, and then solely because having no deal at all might be even worse. When this column was written, the full text of the deal had not been released. Yet this morning, the British Cabinet has reportedly accepted a deal that yokes Britain to some of the EU’s most thoroughly demonized rules and regulations for an unlimited period, and without Britain having any say for the foreseeable future in how those trade rules get written. And that is merely the start of the bad news. For most of 2018, the British negotiators have struggled to avoid creating a hard border between Ireland (which remains in the EU) and Northland Ireland (which doesn’t) without embracing a set of different rules and conditions for different parts of Britain. The easy solution – let EU-like customs rules apply to Northern Ireland but not to the rest of Britain – is politically out of the question, since this result would, in effect, undermine the unity of Britain. Several unrealistic ‘backstop’ measures have been floated to avoid creating a hard border on land or a borderline drawn on the Irish Sea. Most of the variations put on the table have envisaged a sunset clause sufficient to preserve the unity of Great Britain while buying enough time until Britain can (hopefully) do a new free trade deal with Europe. In reality though, a backstop short enough to be politically sellable to the British public was always going to be not long enough to provide a viable basis for investment decisions. How has May tried to square these circles? The initial reports this morning indicate that her plan envisages (a) Britain staying in the EU customs union for goods for a “limited period” (undefined) while (b) allowing EU fishers an unimpeded ability to fish in British waters plus (c) allowing Northern Ireland to eventually enter into a “deeper” relationship (when and how also undefined) with the EU than the rest of Britain. If those reports turn out to be true, May will have achieved the difficult feat of scoring two own-goals at once: a Brexit that doesn’t seem to involve leaving the EU, and a plan for safeguarding British interests that will ultimately involve destroying the unity of Britain. En route to this destination, there has been excited talk of the need to devise backstops for the Northern Ireland backstop. Only yesterday in fact, Conservative hardliner Jacob Rees-Mogg tweeted his extreme displeasure that: “The separate rules for Northern Ireland have been put in one backstop, rather than being in a separate backstop, which if anything is worse than a backstop to the backstop.” If you say so… Never exactly a man of the people, Rees-Mogg went on to gloomily liken the situation to 1846. Decoded, this analogy means that the insufferable Rees-Mogg feels that the current divisions in Theresa May’s Conservative Party are comparable to the ancient splits that existed among Conservatives in 1846 over the best policy towards the Corn Laws – which ended up with Sir Robert Peel getting the votes he needed for repeal by reaching across the aisle to the opposition Whigs. In similar vein Theresa May will be banking on a sizeable bloc of Labour defectors being willing to break ranks, and vote for deal. She will need that help to get the deal through Parliament if the Democratic Union Party (DUP) of Northern Ireland baulks at the final text. All along, the grim sales pitch that May has been pushing is: you may not like my deal, but it is the only option to avoid Britain exiting the EU on March 29 next year without any deal at all. Earlier this week Scotland’s First Minister Nicola Sturgeon tried to counter this narrow choice between two dire options. If the PM’s ‘deal’ satisfies no-one and can’t command a majority, we mustn’t fall for her spin that the UK crashing out of EU without a deal is then inevitable – instead we should take the opportunity to get better options back on the table. Even if the Cabinet hurdle is surmounted without a hitch, though, May’s toughest challenges may still lie ahead. She expects the EU to convene a summit in late November to sign off on the deal and then, most likely in early December, the drama moves back to Westminster, where every MP must decide whether they can support the deal. While Justice Minister Andrew Little has been lavishly praised for announcing that the Pike River mine will begin to be re-entered in February, it has been disappointing to see Little’s simultaneous disinterest in restoring the right to vote to people imprisoned for minor offences. In both cases, New Zealand First appear to have been driving both the mine re-entry, and the backdown on prisoner voting. On Pike River, remember how NZF leader Winston Peters once vowed to be the very first person down the drift? NZF are not keen on extending human rights to prisoners, either. Back in 2010 though… Labour had loudly condemned the Key government for playing to the redneck vote by removing the right to vote from every adult who happened to be in jail at election time. Prior to 2010, the New Zealand policy had been identical to that of Australia, which denies the right to vote only to those prisoners in jail for sentences of three years or more (ie the serious offenders). In 2010, even Attorney-General Chris Finlayson had slammed the Key government’s blanket ban on prisoner voting as a contravention of our Bill of Rights, among other deficiencies. Justice Minister Andrew Little told reporters he personally disagreed with the ban, but the government as a whole had yet to take a position. “It’s not that much of a priority,” he said. “We haven’t even had a discussion about that and it would be wrong for me to express any view on behalf of the government about it.” Ministers were unlikely to consider the issue for at least a year, he said. Why this sudden outbreak of disinterest? Not for the first time, prisoners are being treated as political footballs. Just as the Key government played to the redneck vote back in 2010, Little seems OK about Labour becoming captive to the hardline ‘lock ‘em up’ faction that exists within New Zealand First. Earlier this year, Little had been blindsided by NZF leader Winston Peters when Labour tried to scrap the “Three Strikes” legislation. Rather than risk losing a similar fight, Little now seems gunshy about fighting at all on this issue. NZF is probably not his only concern. The politics of delaying any action would also deny National the opportunity to paint prisoners winning back the right to vote as an example of a centre-left government going soft on criminals. Labour is already facing that charge over its handling of the Karel Sroubek immigration case. So… postponing any action on this issue might be seen as politically astute by Labour tacticians , but it is deeply disappointing. Especially given that the Supreme Court has just found New Zealand’s blanket ban on prisoner voting to be ‘inconsistent’ with our Bill of Rights. It is also incompatible with the rest of Labour’s initiatives on programme on prison reform and rehabilitation. After all, prisoners are automatically taken off the electoral rolls, which means that once they’re released from prison they have to re-register to win back their ability to vote. It can be a lasting disenfranchisement. “It’s not that much of a priority,” says Little. Hmmm. Centre-left governments used to think that the rights of prisoners shouldn’t be sacrificed to indulge the desire for societal revenge. I’d also have thought that – when you’re the Justice Minister – defending section 12 of our Bill of Rights should be a priority.